Brian Eisenstein, President, works in downtown Boston in finance. Among other things, he co-writes the Purim Shpiel every year and has a reputation as the badchan (shtickmeister/funny guy) at friends' weddings. He plans a road trip every summer to see a baseball stadium he has not seen and at least one State he has not yet visited (15 to go) and is working on a book about baseball. Leah Robins, First Vice President, is a fan of organizational development. At Tremont Street, she serves on both the Egalitarian Steering Committee and the Kiddush Committee. Outside of shul life, Leah is on the board of the JCRC, where she works on millennial engagement, service work, and the young adult volunteer program, ReachOut! Her daytime hours are spent across the river downtown, where she gets to make the world a better place as part of the Government Affairs Team at the Metropolitan Area Planning Council. She'd love to chat with you about your favorite recipes and ideas of where to explore next in New England. Honi Sa nders, Second Vice President, has had ties to Tremont Street since before he could read. He is an Alef-Bet graduate and Simchat Torah shoulder dancer. He is the chair of the Community Development Oversight Committee and has led or leyned at most of the minyans in the congregation. Honi really appreciates that we are unique in containing multiple practices in one community, as well as multi-generational relationships that are hard to build elsewhere. When he's not at shul, he is a neuroscience postdoc studying learning in rodents. James Carolan, Treasurer has been a Tremont Street Shul member for nearly 25 years and has served on the board in various roles. Born in Texas and raised in Northern California, James came to Boston for graduate school and has now lived in Cambridge longer than anywhere else. 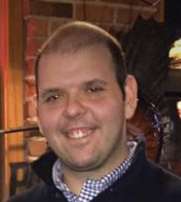 He does computer systems work for a Boston/Cambridge engineering firm and has traveled the world on various projects, including one in Israel. He loves things that roll -- including cycling and autocross (sorry electrified-car owners, he still loves dinosaur-powered cars). Paul Weiss, Assistant Treasurer, is a native of Brooklyn NY, but has lived in the Boston area since 1977, when he came to Cambridge to attend MIT, so at this point much more of a Bostonian than New Yorker. He, along with his wife Ruth Weinrib and daughter Anja have been members since Anja was at Alef-Bet, back around 1991 or so. Anja now lives in Brooklyn -- go figure! Paul has been involved in shul leadership way too long and has served as president twice. He is a software engineer working at Google. Michael Abraham received his undergraduate and graduate degrees from MIT, and stayed here in Cambridge, where he spent 40 years as an IT consultant. Mike has been a member of the congregation for 30 years; his daughters are graduates of our preschool (quite a while ago!) and both became bat mitzvah here at Tremont Street. Mike has been a Board member for four years and is a member of the Ritual Committee. In his spare time Mike enjoys playing board games, and he has been a classic rock fan since before being airlifted out of Woodstock with appendicitis. Nadav Havivi has lived in Cambridge/Somerville since 2012 and currently runs, with a few other folks, the Friday Night Partnership Minyan (and potlucks!). Nadav enjoys playing sports and hanging out in various parks on Shabbat afternoons. Shelly Levy lives in Watertown with her husband, Ken Lebowitz. Many years ago after returning to the States from living in Israel, they found a welcoming home at Tremont Street where their children, Liora and Noah 'grew up'; in particular, she enjoys being a member of the Chesed Committee. Shelly works as an Educational Specialist Research Associate at the Institutes of Learning and Development creating curriculum, providing professional development, and helping individuals of all ages with learning challenges learn strategies to help them succeed. She loves discussing literature, and enjoys baking and being outdoors. Sarah Magidson moved to Cambridge in 2014 in search of nerdy Jewish community and friends, and happily she has been successful in this endeavor. She enjoys discussing Torah, especially Jewish law as it applies to zombies. Other interests of hers include science, feminism, leyning, cooking, and electronic music. 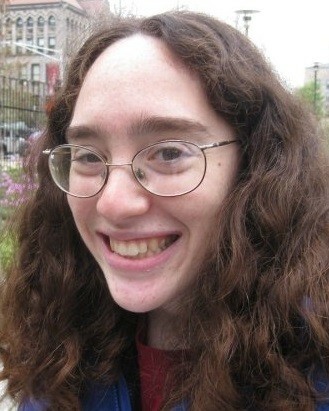 She works as a software developer, and she is also active in the Cambridge Minyan. Mel Schorin lived in Pittsburgh and Falmouth MA before moving to Cambridge. While working as a physician, he learned some medical Spanish and Portuguese and co-authored an introductory text, Haitian Creole for Healthcare. He did a lot of driving on the Cape and wrote a book of poems largely about roadkill. Two unfinished manuscripts sit on his desk. Jill Smith originally hails from Suffern, NY, but has now spent 40% of her life in Camberville. She is active in the Tremont Street Shul's Orthodox Minyan as well as the independent Minyan Tehillah. 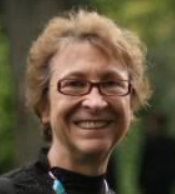 Jill also serves on the shul's Greening Committee and heads the Interfaith Programming Committee. In her spare time, she likes listening to folk and country music, shopping at Market Basket, and riding her bike around town. Joe Sousa hails from Union Square in Somerville where he lives with his wife Vera and two young children, Alma and Asher. Joe's interests in the community include adult education and family programming. He was first attracted to Tremont Street's warm and welcoming vibe. Over the last few years has slowly started pitching in leading services and leyning as a way to bolster and inspire his own Jewish learning. He works as a filmmaker and television producer. Peter Squires is the chair of the Ritual Committee and also coordinates the divrei Torah for our Shabbat noon kiddush/lunch. Peter teaches math and social studies at Mother Caroline Academy, and sings with the Zamir Chorale of Boston. He is married to Linda Kasten and is the father of Si and Itai Squires-Kasten. Eli Witkin is a nature-loving Minneapolis native, grateful to work as an experiential educator in the Jewish community. He sees our holy little shul on Tremont Street as a shining example of how to heal one of the rifts that divide us: multiple minyanim; one kiddush. He first fell in love with this community in 2016 and that love has only strengthened and deepened over the years. He also loves fantasy novels, star gazing, growing things, cooking, singing, throwing pottery, climbing trees, and all things that have to do with being in, on, or near water.